The Blender 2.67.1 r56693 have a big bug with Cycles GPU with importance sampling (environement but maybe also all importance sampling) that freeze the computer, need to hard reboot with reset button. No error message, just freezes with importance sampling GPU. 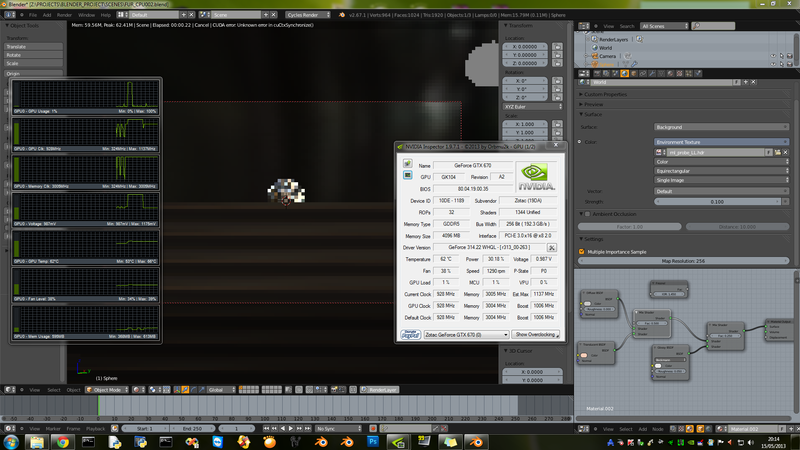 My config is I7 860 // 16 Giga ram // 2x Zotac Geforce GTX 670 4 giga // driver nvidia 314.22. If you want other information that can help to solve it, contact me. I just forget the system version, Windows 7 x64 sp1 up to date. Hope can help to debug, cause the last buildbot still have the bug. ps : no sli enable in my config but two card.